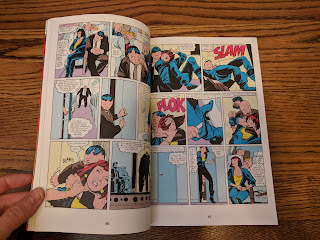 Ed Brubaker plucked her from Marvel's archives and utilized her as one of the primary supporting characters of his Daredevil run, which is where I was introduced to her. 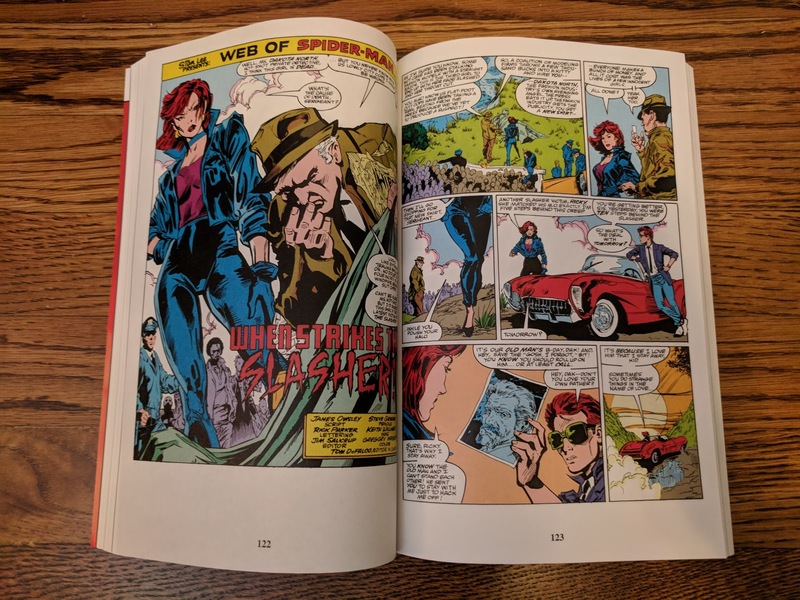 After really enjoying what she brought to that run, I did a little research and found that she had had surprisingly few appearances over the years. 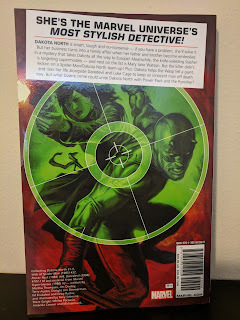 So when this collection was announced, I was excited to finally get the chance to read her early adventures, even if they were few and far between. 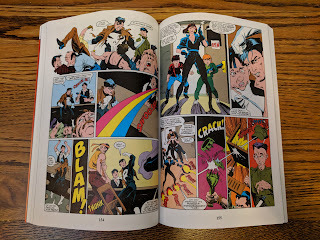 Design for Dying begins with a nice introduction from co-creator and original series author Martha Thomases, which informs how the character came about, and in hindsight, possibly why the original series didn't last beyond five issues. 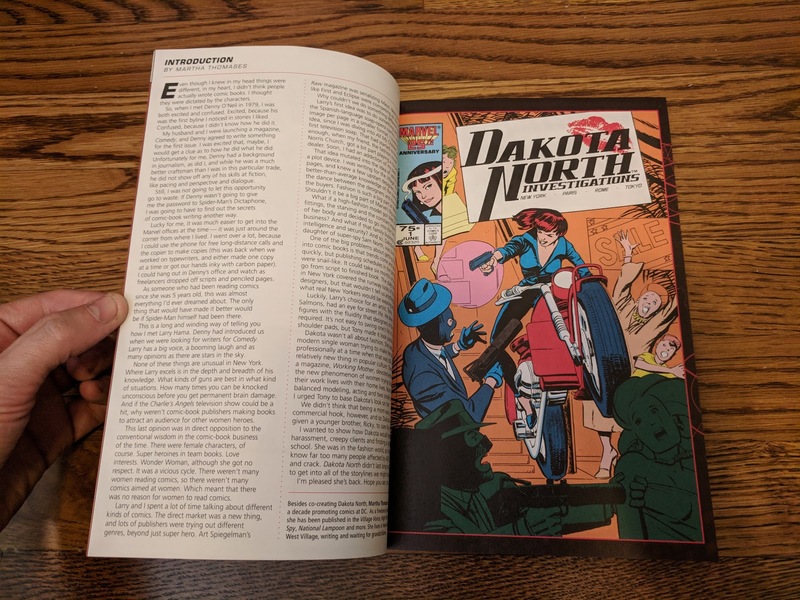 She states that the 1986 Dakota North series was her first foray into the world of comics, and honestly you can tell by those five issues. The plotting is uneven and for every time Dakota is shown being strong and independent, she's then shown playing second fiddle to a man. Reading these issues thirty years after they were originally printed, the unfortunate thing is that by the fifth issue if feels like Thomases and artist Tony Salmons (who has a much larger comic portfolio) had started to get a their feet under them and had an idea of what they really wanted to the book to be. The story had even gotten the point to where there were some intriguing potential plot lines, only to be cancelled. 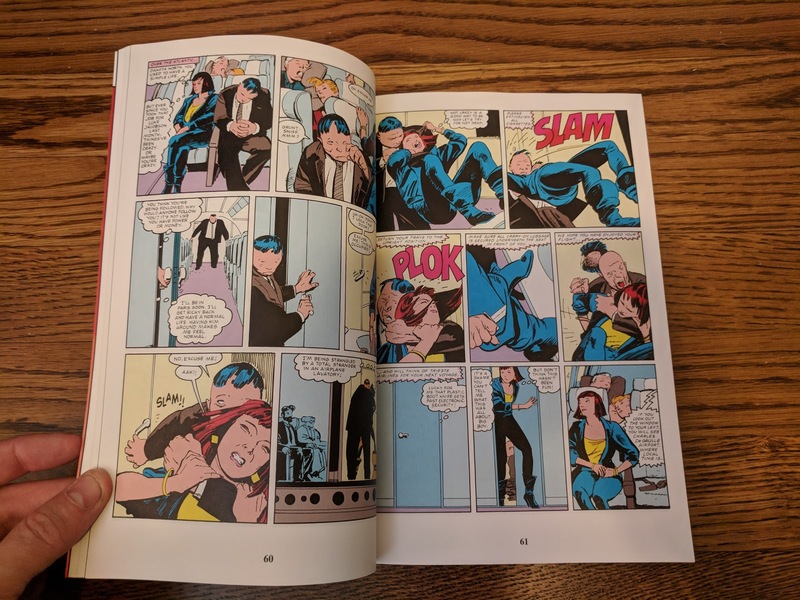 In fact, the final page of the fifth issue ends with the caption "This is where we usually put the blurb for the next issue, if there was a next issue, but there isn't". In the mid-'80s, the days before the internet and less-than-24-hour news cycles, that had to have been abrupt. 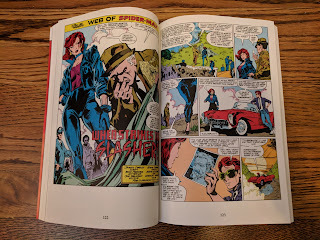 The middle of this volume is comprised of Dakota's next three appearances after the cancellation of her solo debut series: a pretty decent single issue serial-killer-murder-mystery-team-up with Spider-Man written by James Owsley (who would later change his name to Christopher Priest), another appropriately goofy single issue crime-caper-solving appearance with a pair of the Power Pack kids and The Punisher, and a virtual throw away, Wasp-centric (Janet Van Dyne) short story from Marvel Super-Heroes in which she appears in just five panels and is pretty much only there because of her ties to the fashion world (the story takes place at a fashion show that Janet is participating in). Dakota would go on to appear in eleven issues of Luke Cage's solo series Cage (1992), and three issues of Priest's Black Panther (1998) - none of which are collected here (they can be found in the complete collection sized TPBs for those respective series) - before disappearing until being rescued from Marvel's vaults to appear in twenty six issues of the Brubaker/Lark Daredevil run. 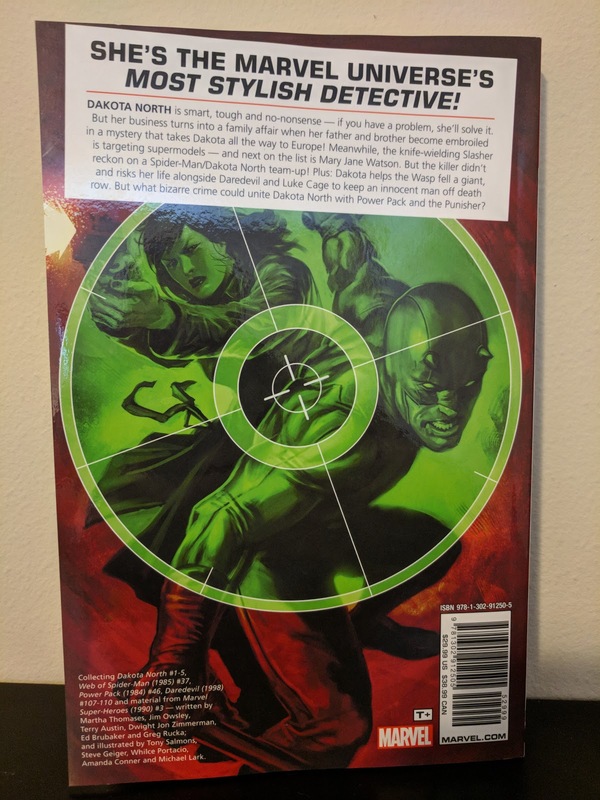 Only four of those issues are included here (an arc titled "Cruel & Unusual", co-written by Greg Rucka), but they show Dakota at the forefront of an investigation into a death-row inmate's potential innocence. 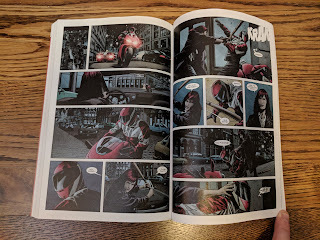 I kind of wish that more of her Daredevil appearances were included, as they would really help inform what is going on in this arc and help flesh out the character, but since she didn't appear in every issue of that run, it would have made for choppy reading anyway (and has already been collected in its entirety elsewhere). 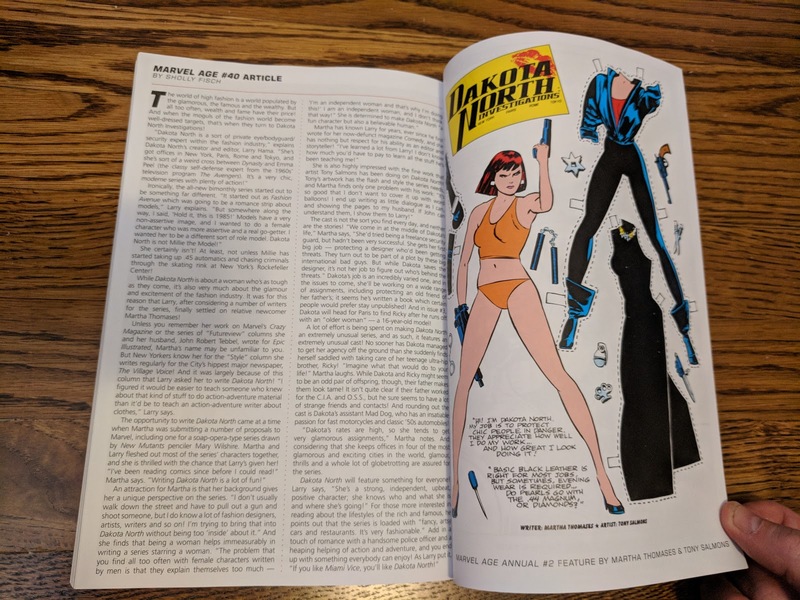 There are about seven pages of bonus features in this collection: a variant cover, a reproduction of a Marvel house ad for the original Dakota North series, an article from Marvel Age (1983) #40, a Dakota North paper doll cut out, and a character bio from The Official Handbook of the Marvel Universe. This collection definitely isn't for everyone. 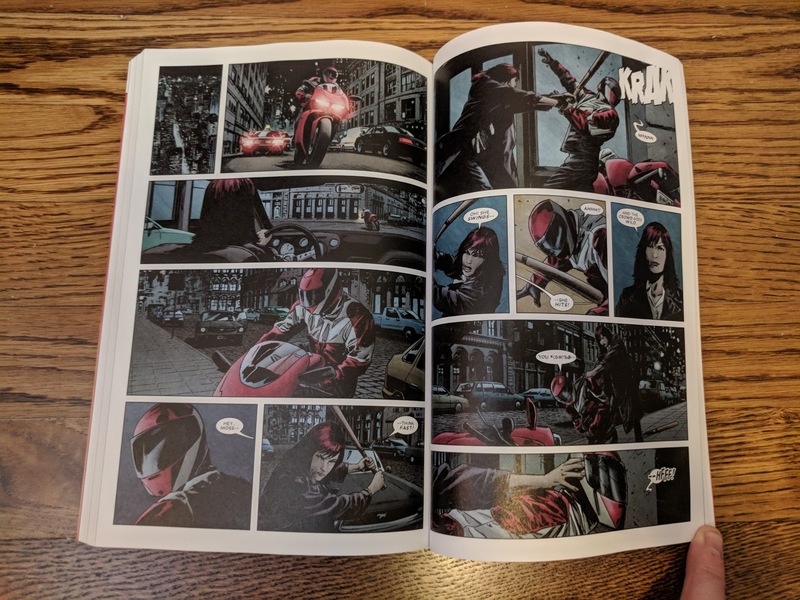 The material is uneven, but does get progressively better, so by the end you've worked your way to some truly top notch stuff. 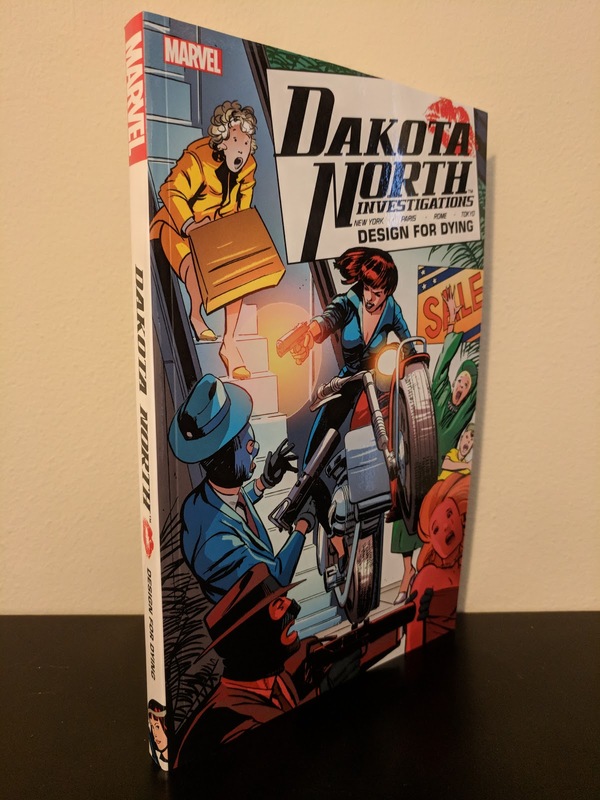 I really enjoyed seeing Dakota's beginnings and getting a feel for the character potential that caught Ed Brubaker's eye. 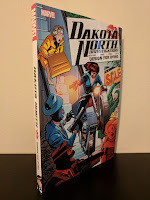 Who knows if (or when) we'll get more Dakota North appearances in the future - for all I know I'm the only one who'd like to see more - so I'm happy to have this collection on my shelf. 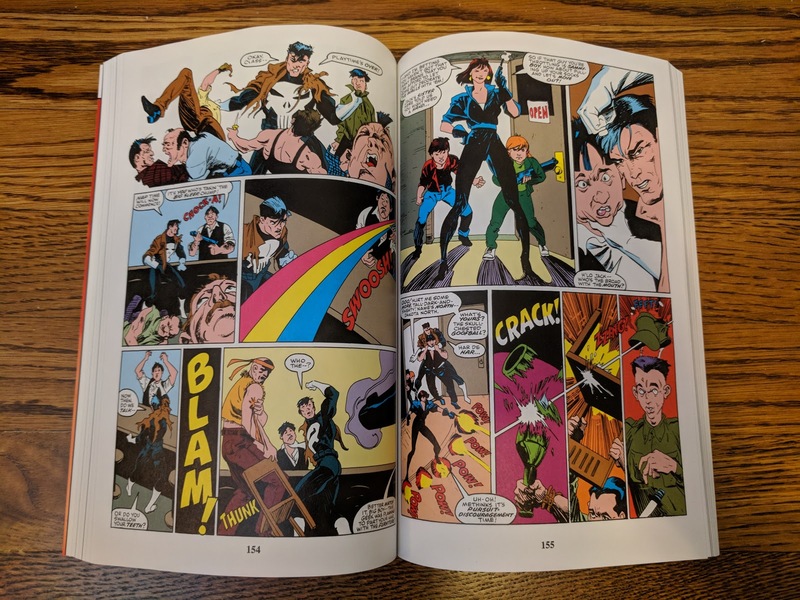 It may not include every appearance of hers, but it provides a great look at the evolution of the character over her thirty two year history.